The social media platform has axed some smaller projects, including LOL, to focus on other things that it believes is more successful. Facebook shuts down work on LOL app. The company has reportedly moved its “youth team” to work on other projects. The unreleased app was aimed at teenagers and was under beta testing. Facebook has shuttered its plans of developing a new product called LOL that was aimed at teens. The app was supposed to be a hub full of memes, which most millennials engage with nowadays and it was supposed to attract users who left Facebook to use apps like Snapchat, TikTok, and Musically. The company will instead be focusing on further developing its Messenger Kids app that is aimed at elementary school kids. A Facebook spokesperson has apparently confirmed to Recode that it has reshuffled its “youth team” that consists of more than 100 people who work on products aimed at the young audience. The team was notified to stop working on numerous smaller projects and focus on things Facebook considers successful. LOL is said to be one of those smaller projects that might now be never released. As per the report, loss of traction and interest was the reason LOL app was shut down by Facebook. TechCrunch previously said that it was a small project being tested by 100 beta users. “The youth team has restructured in order to match top business priorities, including increasing our investment in Messenger Kids,” a Facebook spokesperson confirmed to Recode in a statement. Alongside the LOL app, an early version of high school communities feature is also shut down, which would’ve enabled teenagers to find and connect with classmates. This feature sounds more like what Facebook originally was, when it had just been set-up in Harvard. Facebook seems to be struggling when it comes to retaining young users on its platform. 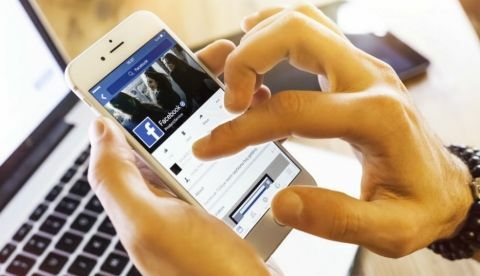 Its other social media platform, Instagram, and the online messaging app Messenger are doing rather well and this could be one of the reasons that the company is planning to integrate the two with Facebook. However, this might not actually happen at least until 2020. Security, better user experience, and interoperability between the apps are being cited as some of the key reasons for the integration of these services. In the company’s Q4 earnings call, Zuckerberg said that WhatsApp uses end-to-end encryption and users, along with the company’s other two services, could benefit from this security measure being implemented. This is also supposed to help users with interoperability so that they can move between the apps easily as the technical infrastructure underneath would be, more or less, the same. Facebook unveils Messenger Kids, a chat app with parental controls.